Regularly enjoying fruits that help with losing weight will not only assist your weight loss efforts, but also improve your health. Most fruit increases your dieting success by adding fiber and vitamins to your diet, as well as by taking the place of less wholesome foods, but there are some fruits that seem to give an extra advantage when you are trying to take off the pounds. Can some fruits help you lose weight more than others, or will just any fruit do? While any fruit will help you achieve and maintain a healthy diet, especially if taking the place of a less healthful snack, certain fruits have been identified as providing an extra boost to your dieting efforts. Try adding some of the following fruits to your cart next time you are at the grocery store and watch how your body responds. 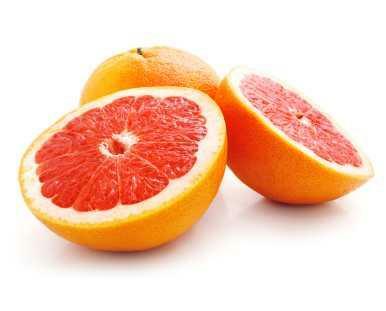 When you think of fruits that help with losing weight, grapefruit is probably the first fruit that comes to mind. Grapefruits and dieting have gone hand in hand seemingly for as long as people have been trying to lose weight, but is there any evidence to back up this citrus fruit's reputation? In 2006, a study published in the Journal of Medical Food examined the influence of grapefruit and grapefruit products compared to a placebo when added to the diets of obese adults. The results? Volunteers consuming fresh grapefruit, grapefruit juice or grapefruit capsules experienced significantly greater weight loss than the placebo group, with the most dramatic difference occurring in those volunteers who ate fresh grapefruit. After 12 weeks, this group lost an average of roughly 3.5 pounds each, compared with just over half a pound for the placebo group. An apple a day keeps the doctor away, but can it help with weight loss? Some promising research suggests it can. A 2003 study published in the journal Nutrition followed the progress of 411 overweight women, all of whom were following a dietitian-designed weight loss plan. Women eating apples or pears three times daily experienced significantly greater weight loss than those participants eating an equivalent portion of oat cookies. On the surface, you might assume fruit portions are simply lower in fat or calories than oat cookies, which alone would result in greater fat loss, but there's more to the story than that. Apple peel contains substances known as polyphenols - antioxidant chemicals that have been increasingly shown to provide a number of health benefits. A 2007 study published in the Journal of Oleo Science found apple polyphenols taken over a 12-week test period significantly decreased cholesterol and body fat levels in test subjects. Adding apples to your diet appears to be an easy and convenient way to aid in weight loss - but be sure to include the peel. For the same reason, apple juice and apple sauce are unlikely to have the same benefits, so get to the grocers and stock up on some whole fruit! Dates are rich, sweet and satisfying. With an abundance of vitamins and fiber, dates are a great snack when you are dieting and want to feel as if you have indulged in a sweet and decadent treat. Dates are a good source of B vitamins, which have been associated with weight loss, and are a particularly rich source of vitamin B6 which is essential for thyroid function and fat metabolism. Looking for dessert? Look no further than your favorite melon. Sweet, juicy and reminiscent of childhood, there's nothing quite like a piece of watermelon or cantaloupe for a cool and refreshing treat. Despite their sugary flavor, melons are very low in calories and high in vitamins and water, making them an ideal treat to satisfy your sweet tooth. The Japanese Banana Diet gained headlines recently as the latest trend in weight loss. By simply eating a single banana 15 to 30 minutes before breakfast, dieters reportedly improved dieting success. Whether the banana was the stimulus for weight loss, or simply served as a daily reminder to aim for healthy eating remains a subject of debate, but there is certainly no harm in adding a daily banana to your diet. Bananas, like dates, can be more filling than other fruits and have a rich, creamy texture that satisfys your cravings for creamy desserts. Fruit is the original convenience food. Portioned in biodegradable, single-serving packages, there is no better snack to take with you on the go than a piece of your favorite fruit. Even if you make no other changes to your lifestyle, adding a portion of fruit to each meal, either as an appetizer, side dish or dessert, and choosing fresh fruit as a snack option will result in gradual, sustainable weight loss as well as better overall health.